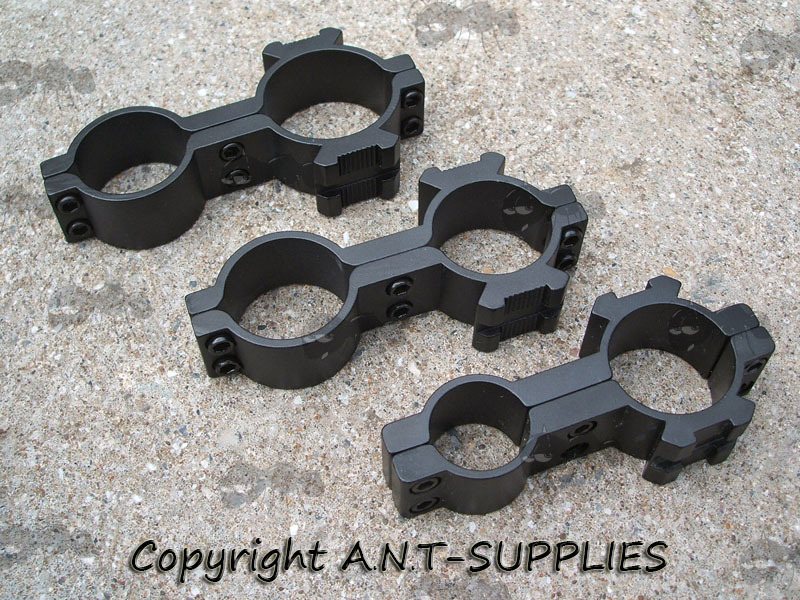 For mounting torches or lasers to scopes tubes. 80mm high x 36mm wide. Approx center to center of 40mm. 87mm high x 39mm wide. Approx center to center of 45mm. 92mm high x 44mm wide. Approx center to center of 47mm. High grade aluminium construction with steel bolts all with black anodised finish. 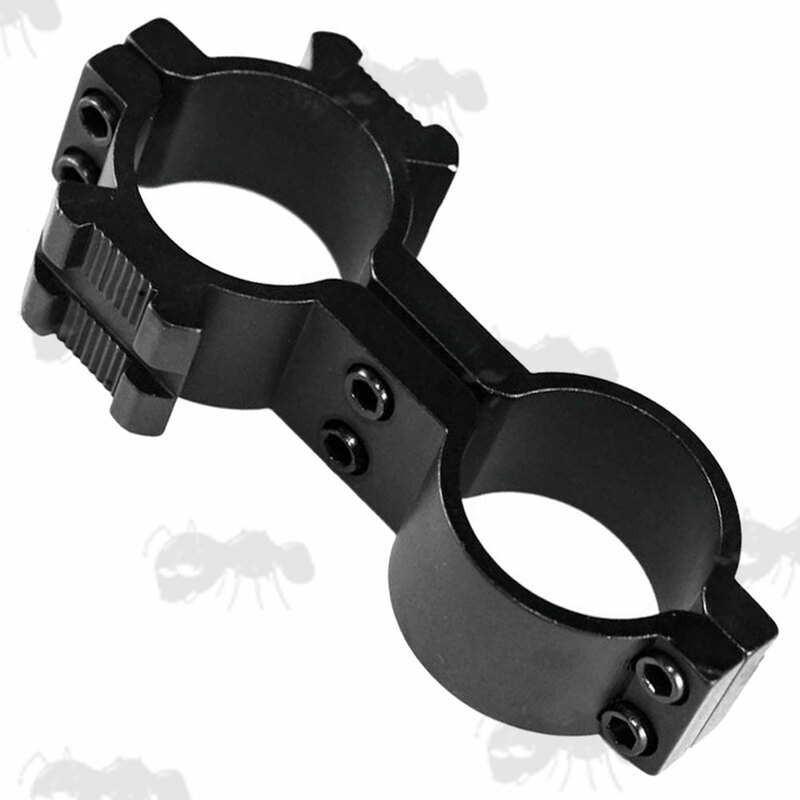 Highly versatile mount rings with integrated weaver rails. The rails are on the larger ring size end. 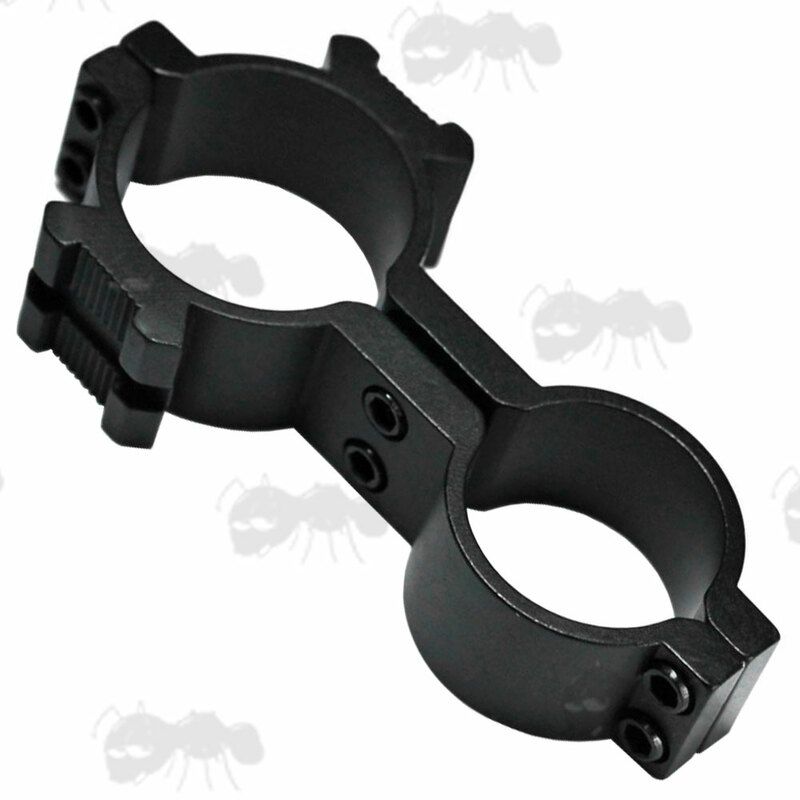 Well made, simply and effective design with a strong and secure hold.